Ogden on Politics: Did Indiana Republicans Nominate a Liberal Democrat as Candidate for Superintendent of Public Instruction? Did Indiana Republicans Nominate a Liberal Democrat as Candidate for Superintendent of Public Instruction? 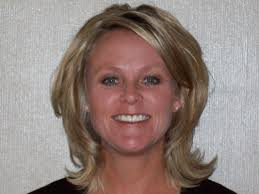 I wasn't surprised by the result given the winner (obviously) spent much more money on her campaign, but yesterday at the GOP convention the Republican delegates nominated Jennifer McCormick, Superintendent of the Yorktown Schools over Dawn Wooten, a college instructor. It does not take a rocket scientist to figure out that McCormick taking a GOP ballot in 2014 was undoubtedly with an eye to running for Superintendent in 2016 as a Republican. was heard." That is an answer that should make the blood of Republican and Democratic party workers boil. People who are committed to their party's principles do not continually switch which ballot they take in the primary. Further, McCormick is from very competitive Delaware County. It is not like she is from one party Lake County where virtually all elections are decided in the Democratic primary. McCormick made the claim that Indiana discarded Common Core in coming up with the standards. But Wooten, who was actually on the committee that worked on the new standards, blew away that bogus claim on her website, showing a side-by-side comparison of how Indiana's standards in many areas are identical or nearly identical to Common Core. I made my mind up on the McCormick v. Wooten race on the way down to the candidates' reception Friday night. McCormick was being interviewed on the Abdul show on WIBC. If McCormick had not been identified as a "Republican" you would have thought her to be a Democratic candidate to superintendent. On issue after issue, McCormick spouted typical liberal nonsense. She said she wanted an expansion of pre-K, ignoring the credible studies that show that such programs only have a temporary benefit. To his credit, Abdul asked her about those studies, but McCormick ducked the follow-up question. But it is not just pre-K...McCormick wants more education spending across the board. Further, she is apparently fine with federal involvement in K-12 schools, even though in return for very little money, the feds make enormous demands on our schools. By her answers, McCormick actually seemed even to the left of Democrat Glenda Ritz. McCormick's pitch for her candidacy seem to be only that she had a better resume than Ritz and would get along better with the Governor and the Republican legislature. Indeed McCormick does have a better resume and she probably would get along better.. However, she is a school district superintendent. When it comes to all the players in the educational system, superintendents are the the absolute worst when it comes to opposing meaningful education reform and most demanding of more taxpayer money for the status quo. There was nothing in McCormick's interview, her speech, or her literature, which suggests she is any different from the typical school district superintendent. During the convention, Wooten gave an outstanding conservative speech on education. It was very well received, better than McCormick's. But unfortunately Wooten, undoubtedly because of limited finances, wasn't able to match McCormick's numerous pre-convention mailings. My only contact with her was the speech, compared to the speech and maybe 5-6 mailings from McCormick. Given her limited delegate contacts, I was rather impressed that Wooten received 1/3 of the vote. Another 250 to 300 votes switched and Wooten would have won the nomination. Those of us who are old enough remember Sue Ellen Reed, a Republican Superitendent of Public Instruction whose liberal policies made her very popular with Democrats but not so much with conservative Republicans. Unfortunately, it appears Republicans nominated Sue Ellen Reed 2.0 yesterday. Paul, as you know there are not too many people more conservative than me. I lived in Yorktown for 18 years. Even I voted in one Democrat primary and thought about voting in several other. The Republicans in Delaware county had very few contested primaries. Until you live in Delaware county you can't appreciate how bad most of the Democrats are (although the FBI may be shedding some light on that soon). Once in a while a good person would run against the county democrat party supported person on the democrat ticket. I was tempted to vote in the democrat party to help the better one win. My kids never had Jennifer as a teacher and she became the principal of the elementary school after my kids were out of elementary. As such I can't comment from personal experience, but she seemed to do a good job as principal and then as superintendent. Yorktown is an excellent school and has continued to improve under Jennifer. What do "conservative Republicans" in Indiana want from schools? Mostly just to escape to the suburbs. There's no movement for choice or competition in this state. Hoosier conservatives are dullards.